PLEASE NOTE THAT, TO REDUCE PLASTIC WASTE (AND EXPENSE), WE ASK COMPETITORS TO BRING THEIR OWN PLASTIC MUG FOR USE AT DRINK STATIONS. The Dovedale Dipper in 2018 was, again, a great success, raising over £3,500 for the Skin Foundation. You can find full results for 2018 and prior years from the tab on the home page. 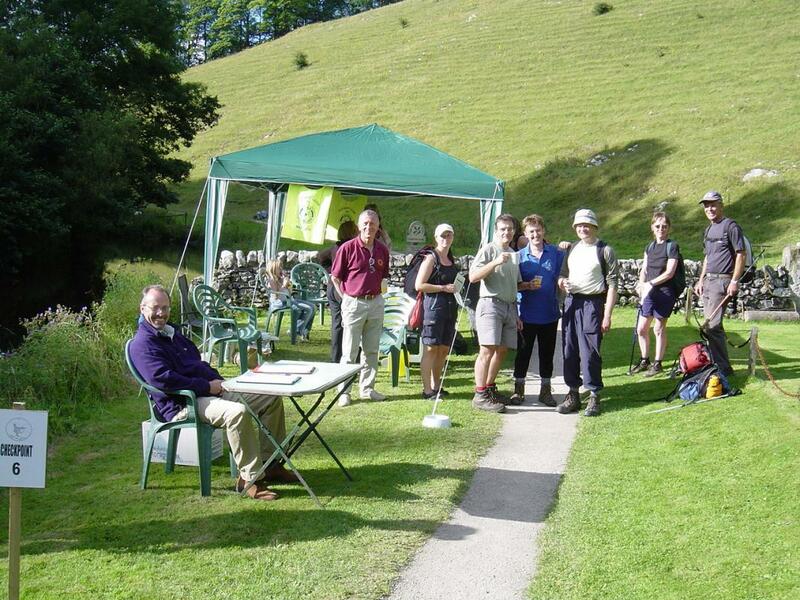 The last Dovedale Dipper will take place on Sunday, 4th August 2019. The Dovedale Dipper, is a 26 mile circular run or walk, or shorter 15 mile run or ramble through the beautiful Derbyshire Peak District National Park. It attracts some 300-400 participants from all over the UK and further afield. Prizes are awarded to the fastest runners in the both the 26 and the 15 mile events. Refreshments, all included in the entry fee, are available at the checkpoints and after the event, hot food at Hartington Village Hall. We accept entries on the day although it is a great help if people use the online booking service that greatly helps with our catering and organisation. We are sorry that this will be the last year Matlock Rotary are able to staff and manage the organisation of the Dipper - happy to hand the reigns to others interested in taking it over. We normally raise between £3,000 and £5,000 for different charities every year! If you would like to take part there are two ways of entering.